As a community agency, WRC strives to engage, educate, enrich and empower women of all generations. We envision a region where all women and their families can thrive. The foundation of WRC programs are our staff and volunteers. We have 14 staff members and over 100 volunteers who are passionate and dedicated to our mission. In Meet the Team WRC we will introduce you to staff, volunteers, and board members who work hard to make the Center what it is. In this issue, we met with WRC Case Manager, Regina Morris, to learn more about her role at work and what motivates her in her personal life. Can you tell us a little bit about who you are? I was born and raised in Sarasota, but shortly after graduating from high school, I joined the Marine Corps for what was to be a four-year enlistment in order to earn money for college tuition. What started out to be a one-term enlistment evolved into 20 years of active duty service and United States Marine Corps (USMC). I retired from the USMC in 1999. Throughout those years of military obligations and raising a family, I never forgot my initial goal of a college degree, so I continued to enroll in classes at the local colleges at night and on the weekend, transferring college credits as I transferred duty stations. The year of my retirement from the Marine Corps, all of those classes culminated into a degree in Workforce Education and Development from Southern Illinois University. What led you to your role at WRC? And what does your role consist of? I love helping people and having them feel that no matter where they are in their station in life, they are welcome. I have been WRC’s Case Manager for the past 2 ½ years. In my role, I work individually with clients and it starts with listening. We work together to prioritize their needs and then we create a plan. This plan typically includes linking them to resources within the Center and/or other agencies in the community. What do you like to do outside of the WRC in your free time? I like to run. A lot. Three times a week, in the wee hours of the morning, I meet up with some of my running friends for an 8-15 mile run, which we half-jokingly refer to as our therapy. Our mileage is dependent upon work schedules, kid activities, and just life in general. My latest running goal is to attempt to run a marathon in each of the 50 States. This has allowed me to explore the country and get a very personal and sometimes unexpected feel for each state. Usually, I make these short trips alone or with running friends. Other times, I am lucky enough to drag my husband along, and we extend the trip into a vacation. Has the WRC had an influence on your life? If so, how? WRC has caused me to realize there will always be more out there for me to do… and I am okay with that. WRC collaborates with other agencies. Tell us about your work with our community partners. “Official” community partners I work with are Sarasota Housing Authority, Visible Men Academy, Parenting Matters, and Community Foundation of Sarasota County. However, I think that any local agency that we are able to refer clients to or glean information from as a community partner. What is Project UpLift? What is the end goal for your clients who are a part of Project UpLift? Project Uplift is a unique initiative created by the WRC and serves as a lifeline targeting those in the ALICE (Asset Limited Income Constrained Employed) population. ALICE is a term coined by the United Way after a research study conducted by Rutgers University in 5 states, including Florida. ALICE represents those who are working but struggling financially. ALICE lives above the Federal poverty line, but below the ALICE threshold, a level based on the actual cost of necessities. This demographic has great potential to benefit from WRC services helping them be lifted from the educational, emotional and career restraints, which limit their earning potential. Clients’ needs are identified, goals are created, and then strategies are developed to accomplish the goals. These strategies could include WRC’s trademark programs including case management, mental health counseling, financial empowerment, career counseling, legal services, wellness/stress reduction, and mentoring. If WRC does not have a program that addresses the clients’ needs, referrals are to one of our community partners. Regina lives in Lakewood Ranch with her husband John and their canine child, Needy. She has two grown sons who live close in Sarasota. 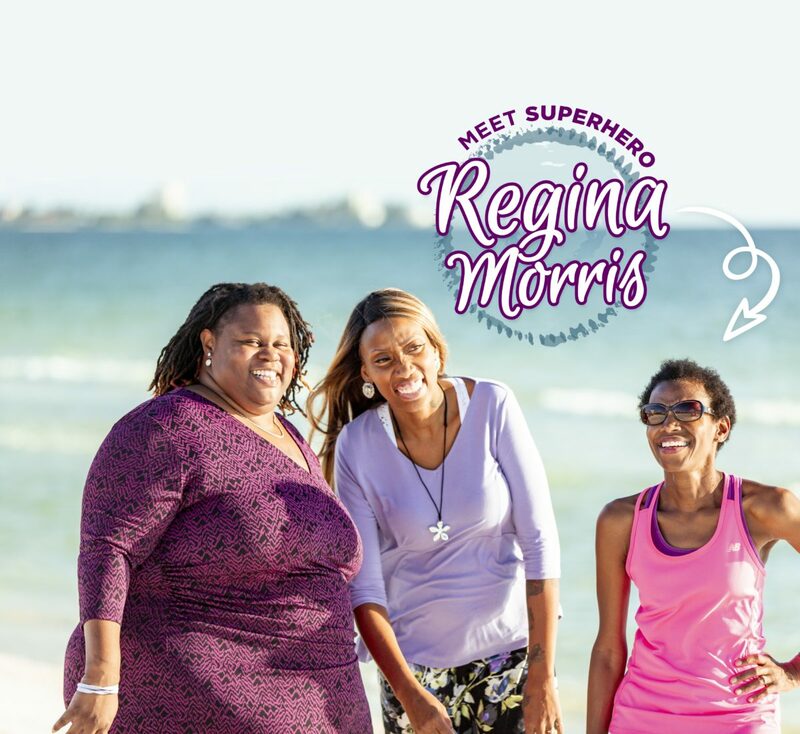 To make an appointment with Regina you can reach out directly to her email rmorris@mywrc.org or call 941-256-9721.